Visitors to mining facilities, quarries and processing plants need to be carefully screened to ensure that their entry into the premises is valid. Concurrently, their identity needs to be verified to ensure that they are indeed the person they claim to be. By not confirming these two elements, mining operations are opening themselves up to potential security risks. By instituting a visitor management system, on-site and remote security teams are able to determine who is on the premises at all times and to keep an accurate record of who visited whom and when. “In addition to providing heightened security, this is also helpful from an occupational health and safety perspective, since it is able provide management with critical information regarding people on site in the event of an emergency,” adds Van den Berg. One way of ensuring that only visitors with verifiable identification are permitted to enter mining facilities is the scanning of drivers’ licences using proven 2D barcode scanning technology. 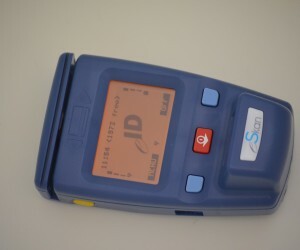 The machine readable component (barcode) of the South African driver’s licence (SADL) contains the visible information displayed on the card, with the exception of the fingerprint image and the driver’s signature image. The driver’s photograph, as reflected on the front of the card, is embedded in the 2D barcode and all data is encrypted. In order to decrypt the data string, a decryption algorithm is used by solution providers. The latest-generation eSkan SADL 2D barcode scanner from EXID incorporates cutting-edge OEM barcode engine technology from Honeywell. Available with an LED-based aimer, the N6600 series integrates Adaptus 6.0 technology for unparalleled 1D and 2D scanning performance. 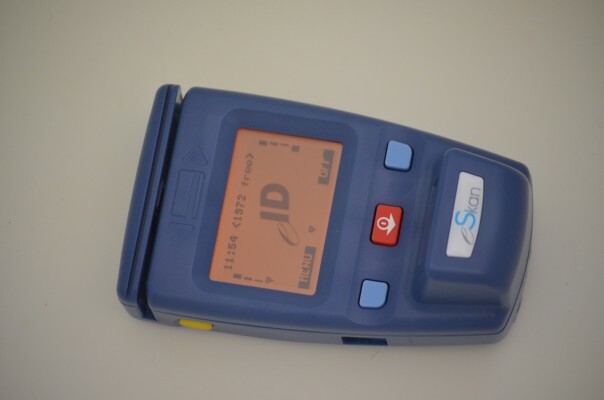 The scanner quickly and accurately reads barcodes and OCR fonts with best-in-class range and extraordinary motion tolerance, even for hard-to-read codes like the SADL barcode and those on mobile phone screens. “Since the data contained in the SADL 2D barcode is captured by the Department of Home Affairs (DHA) it is considered to be valid and verifiable. By a simple process of deduction, one can then assume that any data that is captured by a reputable SADL 2D barcode reader from the SADL barcode is both valid and verifiable,” Van den Berg points out.